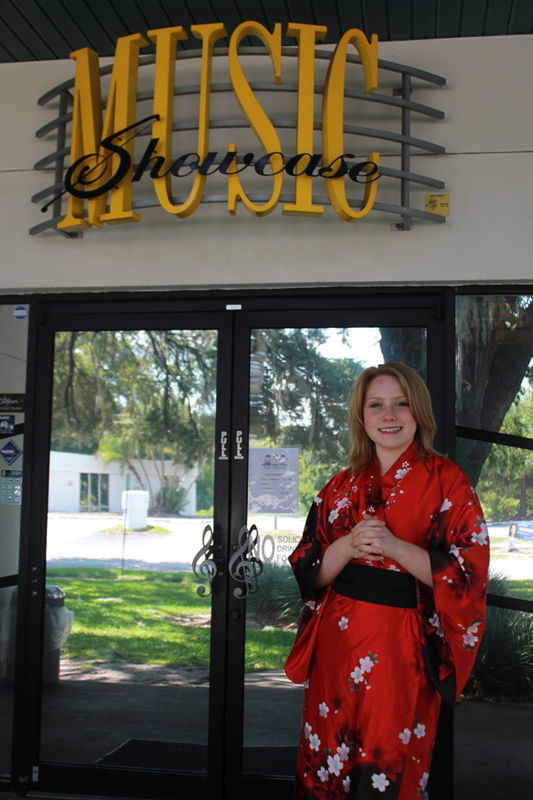 Rebekah Taylor coordinates Japan Aid concert at the Music Showcase. After the recent devastation in Japan, many people are seeking out ways to help the victims of the tsunami. At Music Showcase on Saturday, July 16, the community has an opportunity to do so by attending a Japan Aid concert from 4–9 p.m. Some of the top artists performing at the concert include Susan from KORE, Ngaire Young, Aleshea Harris, Artist Block and John Clark. Eighteen-year-old Rebekah Taylor, who is heading up the event, believes that a concert is a good way to help, “because music is a common language that unites the world,” she said. Taylor has always had a passion for helping with international affairs. She is heading off to Stetson in the fall to pursue her dream of becoming a U.S. Ambassador. “After seeing the devastation in Japan I just couldn’t stand by and not do anything,” she commented. In addition to live music, the community has the opportunity to enjoy different contests, which are fun for all ages. One is a costume play (Cosplay) contest, where contestants dress up as their favorite character and are judged on their likeness to a photo of the character. Another is an art contest, either traditional style Japanese or modern day manga drawing, with judges and a people’s choice category. In addition, there is a noodle-eating competition, in which contestants are challenged to eat a cup of noodles the fastest without using their hands. Three vendors, PB&J Vending, Chick-fil-A and The Tea Room, are lined up to provide hamburgers and hotdogs, chicken sandwiches and hot teas at the event. The vendors have all agreed to donate 20 percent of their earnings from the event to the Japan donation fund. ECHO will be holding a food drive as well to collect canned goods from attendees.. There is a $5 donation to attend. You can buy a ticket at the door. To find out more about this event, you can visit the Facebook page by typing in JapanAID, or you can e-mail Taylor at rebekah_taylor@live.com.